Do u really believe in astrology??? The short, simple answer is: yes, of course I do. But the truer, slightly more complex answer is: no, I don’t “believe” in astrology, because looking at the world through an astrological perspective requires no extension of faith for me. Asking an astrologer if she believes in astrology is rather like asking a veterinarian if he believes in dogs. Veterinarians see dogs everyday in their practices; they don’t have to believe. 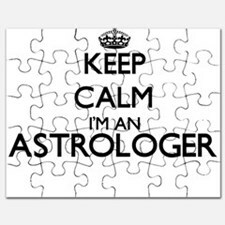 I see astrology working everyday in my practice and in my personal life. Because I know what to look for, it’s easy to see and understand. Like the veterinarian, I don’t need to “believe”. Anyone can follow Astrology. It’s important to understand that your Sun sign and birth chart don’t define who you are, but Astrology is rather an outline to help guide you through life. 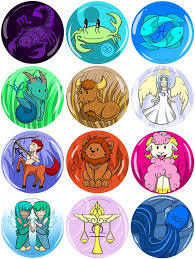 Sure, horoscope signs help explain a person’s personality traits, but everyone is a mixture of all twelve signs combined. It’s just that one person, let’s say a Leo, may display more outgoing and brazen traits than, say, a Libra, who is more inclined to hold back than go full-force. 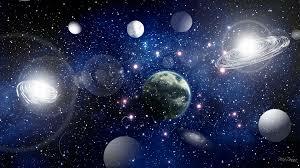 From choosing a career path to your approach to love and romance, applications of Astrology are almost endless — following Astrology and your horoscope can open your eyes to a new way of thinking, and an outlook that could quite possibly show you more about yourself and those around you than ever before. Why is my birth time important? The planets are constantly moving around and switching from aspect to aspect, so the difference of an hour can affect your birth chart, Moon sign and Rising sign — and in turn, this will affect who you are. You can find your birth time information from your birth certificate or by asking your parents. The closer you can get to your specific birth time, the better. What is a chart wheel? A chart wheel is a visual representation of the position of planets in the sky at the time of your birth. Your chart wheel is divided into twelve sections, which are referred to as “houses”. The planets reflect types of energies and how they express themselves and the houses represent the areas of life or the circumstances in which those energies express. How do the Horoscopes that I read in the Newspaper or Magazines fit into this all? 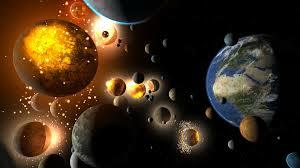 Strictly speaking, newspaper and magazine Astrology columns practice “Sun Sign Astrology.” Each individual has a completely unique birth chart, and each individual will respond to that chart, in his or her own way because we all have free will and ultimately can determine and choose what we make of our lives. What is a Rising Sign and why is it important? The Rising Sign or Ascendant is the sign that is on the eastern horizon at the exact time of birth. It is also the sign that rules the first house of a person’s chart. The birth time of the individual, and each house represents a basic field of activity. The meanings of the houses are modified when they are occupied by a planet. The rotation of the Earth causes the signs and the planets to pass through all twelve houses each day, one approximately every two hours. I am afraid astrology might be true,might actually work,and the astrologer might see stuff in my personality that i am afraid is there. Then choose an astrologer who is a warm, kind, compassionate, positive person, who feels right to you, and who comes recommended by a source you trust. Then share your fear with your astrologer and let them soothe that fear. We’ve all got stuff inside us we don’t want to look at. That’s human. Everybody has both positive and negative ways of living out their various personality traits. If you’re afraid to look closely at the ways you’ve chosen to live negatively (so you can change them), then how can you really embrace the ways you’ve chosen to live positively (so you can do more of them)? Personal growth is hard—and if you can’t face these things, why not slow down the process? Do it at the pace that works for your life. Baby steps, tiny bites, these things will get you there… sustainably. 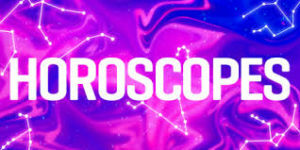 What is the difference between an astrology reading and a psychic reading? An astrology reading uses a graphic map of the sky at the time and from the point of view where you were born. This diagram (your astrology “chart”) is a very precise instrument, and a well-trained astrologer can read it without being psychic. 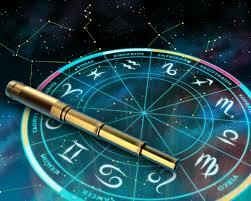 So the first, and main difference, is that you will need to provide the astrologer with your birth data (date, place and time) as accurately as you possibly can, so the astrologer has an accurate chart to interpret. This leads to the second difference, which is that the astrologer needs to prepare for the session with you and will likely spend 90 minutes or so analyzing your chart before the session. This means that walk-in appointments that might work for psychics do not work for astrologers. The fact that the astrologer works from objective data (the chart) also means that you could choose to study your chart yourself, and don’t need to form a dependency-based relationship with your astrologer, whereas with a psychic, you’re getting information you couldn’t have gotten on your own and don’t have the opportunity to question or further research after the reading. You kind of have to swallow a psychic’s information whole and decide for yourself which parts of the reading work for you. But astrology is fortune telling,and the future is scary.Some of that stuff i dont want to know at all. Does my astrology chart reveal my fate?? Do i have any choice what happens to me? Most modern astrologers (like me) do not read the chart as an expression of your unchangeable fate, but rather as a series of likelihoods, possible life-experiences which derive naturally from your personal astrological temperament. Which is to say, your natal chart describes your temperament, and your transits and progressions describe the sorts of life experiences that will be extremely likely to happen to a person of your temperament. A good astrologer can also tell you when those experiences will happen and suggest how to handle them gracefully. Knowing all about your temperament might seem only mildly useful compared with knowing about your fate, but consider the following idea: If you know what kind of creature you are, then you know how you should live. Let’s say you are a particular kind of animal, perhaps a lion. Naturally, you should live on the savannah, hunting and sleeping with your pack, as lions do. But suppose you came from a family of otters. Your family members, who love you, have tried their hardest to teach you otter ways: how to swim and catch fish, and they’ve tried their best to include you in fun otter social games. They have no clue why you have no interest in their games and worst of all, hate the water! You, meanwhile, are frustrated and feel deeply misunderstood. “I don’t think so,” says the astrologer, and she proceeds to point out all your lion-traits and suggest ways you might use them to best effect. Then she can explain all the lion-oriented life passages you’ll be going through, and at exactly what times you’ll be going through them, so that when you come of age as a lion, you’ll be ready. A good astrologer will correctly identify your lion-nature and explain it to you. A great astrologer will find your lion-nature to be worthy of celebration and a really great astrologer will leave you inspired by your own essential nature, feeling right about yourself, excited to live the life you came here to live and better empowered to do so than you were when you walked in. My friend went to an astrologer and had an awful experience. Aren’t they all like that? Fortunately, no. In any field there will be some bad apples, but those are the exception rather than the norm. Most professional astrologers sincerely want to help. Among the many useful tools for self-understanding and personal growth, astrology is something of a power tool. 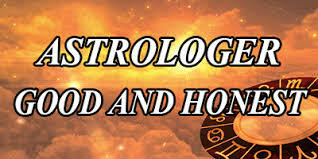 It should be used carefully and when selecting an astrologer, it’s important to choose one with good sound ethics. But how do you know what good ethics are in the realm of astrology? It’s easy to be taken advantage of when you are not sure what you have a right to expect from someone whose services you are buying. People tend to fall into two camps: the superstitious (who believe too easily) and the skeptics (who refuse to believe, even in the face of proof). In their extremes, both camps hold preconceived notions about astrologers as a class, without a reasonable sense of what can be expected of an individual. Unfortunately such preconceived notions increase the likelihood of a bad experience by creating exactly what the person is trying to avoid. This makes it difficult to clearly judge whether a particular practitioner is a good one or not. What can u expect of a good , professional astrologer? Maintain confidentiality about your chart and personal details discussed during readings. Maintain appropriate professional boundaries (including social boundaries and time boundaries). Refrain from inappropriate sexual behavior, seduction attempts or other forms of manipulation. Display tolerance for differences in values, philosophy or religion different from his/her own. 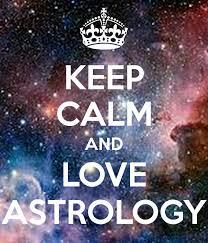 Be knowledgeable and educated in their declared branch of astrology. Charge a fee commensurate with the astrologer’s abilities and experience, and make clear fee agreements before rendering services. 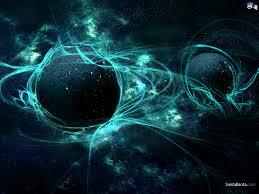 Deliver astrological information to you in a way that leaves you feeling at choice in your life, rather than in fear. Refrain from taking advantage of the situation or of your belief in his/her abilities. Refrain from encouraging dependency by suggesting that your life is somehow broken and the astrologer has the means to fix it if you give them more money. 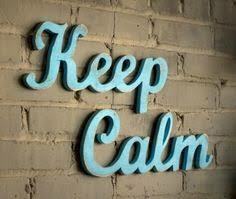 And most importantly: do no harm! Would you tell me about my boyfriend? About requests for readings of third party charts. I do not offer in-depth readings of charts for a third party, so please do not ask me to look at your boyfriend’s chart and tell you how he ticks. The main reason for this is that each piece of the chart can be lived out in a multitude of ways. Unless I have the native (the person whose chart it is) there to validate my interpretations, I can’t be sure that I’m giving useful, pertinent information. You are the ultimate authority on yourself and your life, and so is your partner the ultimate authority on theirs. Reading someone’s chart when they are not present to relate it to their own experience can lead to misinformation which can confuse and even poison a relationship. Please don’t go there. 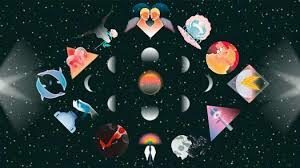 I am willing to take a brief look at the compatibility between your chart and theirs, and this will tell you whether you want to take the next step and get a full-sized reading for the two of you. Sun 05° Taurus 45' 13"
Moon 28° Capricorn 33' 45"
Mercury 12° Aries 23' 04"
Venus 06° Aries 46' 00"
Mars 17° Gemini 06' 11"
Uranus 02° Taurus 43' 05"
Chiron 03° Aries 48' 18"